If you interact with an autistic person in any capacity, it helps to understand how the individual learns. Children with autism have different learning characteristics, so it may be trial and error finding the method that will work best for any given child. However, since early detection and intervention can help younger children overcome some of the symptoms of autism, implementation of appropriate teaching methods as soon as possible are imperative to a child's future success. Special education teachers are often very familiar with the learning characteristics of autism, but general education teachers may not be so well-informed. Because learning styles can vary from student to student, it is imperative that educators and therapists consider these characteristics as well as the particular teaching strategies that apply to them. 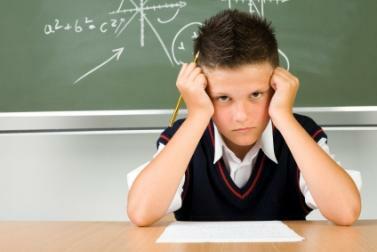 The challenges that autistic children face in an academic environment are numerous. While other children may exhibit little difficulty with the changes, distractions, and constant interaction on a daily basis, children with autism often experience difficulty performing and staying on task. It is important to understand the learning characteristics of autism so that these children have the best chance of finding success in the classroom. The learning characteristics can vary from one child to the next, and the varying characteristics are often directly related to where a child's symptoms fall on the autism spectrum. Visual Learners: Many autistic children are visual learners. However, there is a method to this visual learning. Pictures and other visual aids cannot be shown in rapid succession as it often takes students on the spectrum longer periods to process what they have seen. Instead, make sure to give enough time for the student to process the image. For younger children, actual items are often easier for them to process than pictures are. When possible, use the actual item first, then move on to a picture of that item. This won't always work in the classroom, but it is an excellent method for teaching a child with autism. Modeling: Students on the autism spectrum are often good imitators if they are given enough time. Model desired behavior, and pair students on the spectrum with students who are able to show what is expected consistently. Haptic Modality: Haptic modality refers to a hands-on style of learning. Children with autism are often very sensitive to tactile experiences, and they often want to touch virtually everything in sight. As an educator, you can play on this need by providing plenty of learning experiences through the sense of touch. Have lots of common items on hand for them to manipulate. If you are practicing math skills, give them items to count. If you are reviewing for a science test, let them see and hold applicable objects, such as microscopes, test tubes, etc. Categorizing: Learning to categorize is an important learning characteristic for any child, but it is especially important for autistic children. Older children can be given a planner to write down assignments and other appointments and events. Teachers may have to prompt them to write down their assignments at the end of every period or every day, but keeping an organized planner can help these students remain on track. Talking to Self: While obviously, you cannot allow children to talk to themselves in a loud and/or distracting voice during your class, they can learn to talk quietly to themselves. This is a skill that they must be taught to do. Self-talk can help a child organize his thoughts and keep him focused on his assignments. You will need to practice with him, however, on when it is appropriate and how he can talk to himself in a very low whisper. One step at a time: A student with autism may focus on one piece of information at a time. For example, a teacher points at a letter written on a chalkboard and says, "This is the second letter of the alphabet; it's name is B." An autistic student may process the pointing gesture, the letter's image, or a handful of the words the teacher said. Instructions and lessons should be direct and concise. To begin, the teacher would ideally point to the letter and say, "B". Present ideas literally: Figurative language and idioms can be very confusing for a student on the spectrum. It's surprising how many times a person uses figurative language in everyday interactions, even while teaching concepts. Stay consistent: Consistency is very important because it gives the autistic student a sense of order and a sense of security. Loosen the structure to make the schedule less rigid, and make small adjustments to increase the student's tolerance for change. Use Social Stories or visual aids to help the student prepare for drastic changes in routine. Finally, keep in mind that each child is a unique individual, and he may not respond to each of these strategies as expected. Keep trying different strategies within the classroom, eliminate as many distractions as possible, and above all, keep the lines of communication open with other teachers and of course his parents or guardians. With patience and persistence, you and your autistic children can create success in the classroom.